Straw yellow with greenish reflections, it develops delicate aromas of green apple, melon, pear and hazelnut. The taste is characterized by soft attack and pleasant acidity that gives freshness. It’s bright and ruby red, with intense purple hints. At the nose you find immediately smells of racking off followed by fresh berries and violet. In the mouth it reveals structure, thanks also to the role of Bovale grape, and it’s characterized by a good balance between freshness, sweet tannins and persistence. Bovale Campidano di Terralba DOC. Its color is dark ruby, bright and transparent. Nose: smells of ripe red fruits as cherries, strawberries and raspberries are followed by hints of dried fruit and Mediterranean herbs. The taste it’s pleasantly tannic, with good aromatic evolution and fruity and balanced acidity that gives freshness. The trifulau is the Langa farmer who wanders the woods and hills at night with his dog in search of precious truffles. 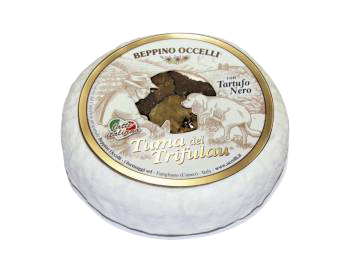 In creating this cheese, Beppino Occelli was the first one to combine the Langa tuma with a natural treasure: the Summer Truffle. 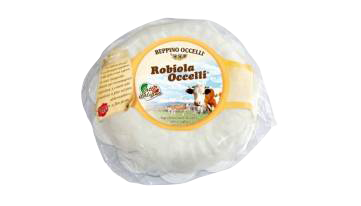 Robiola Occelli® is an appetising cheese with a wonderful edible walnut rind. 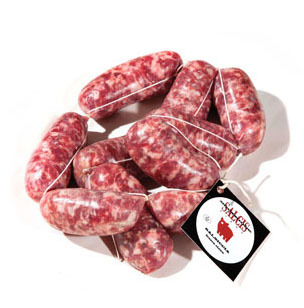 Ideal for accompanying an aperitif, cubed in salads, sliced on toasted bread or at the end of a meal.